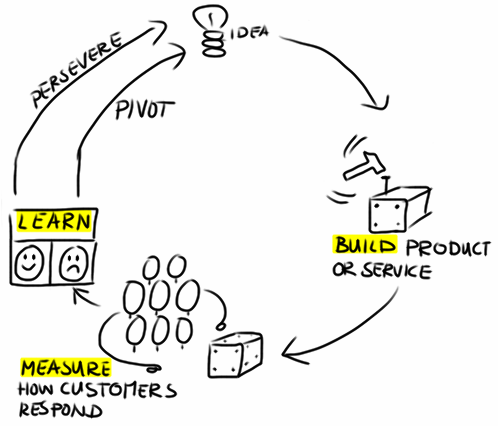 Pivoting a Startup is something that triggers a lot of debates. 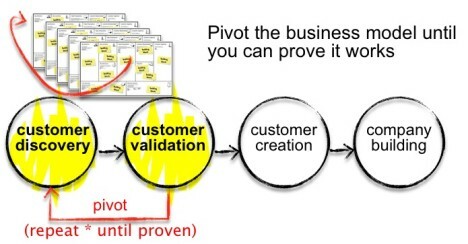 In this blog, we are going to discuss what “Pivoting the business model of your startup” looks like. Steve had been working on his first potentially million-dollar startup (or at least he expected it to be). He planned and pitched, worked insane hours, negotiating the best he could. He could see the way forward. Things were getting better, he was retaining old customers, and was driving growth in customer acquisition. He experimented and iterated until he knew it was the best result. Fast forward 10 months, he had a stable office, the revenue was doing fine. But a numbing silence loomed his senses when he thought of growth. Growth — Thing that exhilarates each and every entrepreneur worth his salt. He couldn’t see any. That gave him a series of rough weekends. He couldn’t stand the fact that his growth stream had choked in just 10 months and there was almost nothing that he could do to change it. He put that sharp and bright mind of his at work and instructed his team that he trusted with his life to exploring the possibilities that could drive “GROWTH”. Within a day or two, he received numerous suggestions and plans. Now, the best of the ideas that he got meant changing certain components of his business model. Steve and his team put their heads in finding the perfect tweaks that they could make in order to drive growth. This changed their business model and even product to some extent. But the growth that this brought to the table was worth it, and enough to overcome the overwhelm of pivoting. The modern-world startups are always on the move. Your’s should too. Always looking to chip away any inefficiencies and make sure that things are moving in one and only direction — towards growth. However, in a lot of cases, growth means tweaking around with one or more aspects of the business models and even product. Pivoting the business model of your startup is about exploring the possibilities of growth that you could have overlooked otherwise. This is perhaps one of the best ways of pivoting a startup and has a better chance of resulting in a success. You can start off by engaging in critical and meaningful conversation with your customers to get ideas on how you can serve them better while opening new doors for revenue to your accounts. For instance, you could get ideas for more products and services that a majority of customers would love to buy from you. Not only this, it helps you to understand the way your customers think and make decisions. The changes that you bring while pivoting the business model of your startup has to be customer-oriented if you really want a great response from your customers. Importance of a happy, energetic and enthusiastic workforce couldn’t be stressed more. It’s just not possible to serve your customers in the best possible manner and not have a happy environment at your workplace. So if the current model isn’t something that puts a smile on your staff, maybe you need to retrospect. It’s not to say that it’s definitely an indicator of the need for a change, but there’s no harm in trying to make sure that your own people are working at the best of their capabilities. Another interesting thing about this is, You can find out something that would be better for your startup and keep your team happy as well. This will also make sure that the key individuals are there with you when you need them the most. However, it is not prudent to pivot a startup entirely motivated by the team’s wishes. It must be about “Good Business”. You’ll need to figure out ways that can still keep the fans coming to your site. Let’s have a look at more complex situation now. Let’s assume you are a meat processing company and deal mostly with beef and pork-related products. Now, the chicken industry starts to gain more traction than usual. Also, some news with national/international coverage breaks out about a beef provider with an allegation of adulteration. This makes everyone to limit the consumption of beef. Any entrepreneur worth his salt would agree with the notion that a healthy, and even a ruthless one is nothing but a good thing for her company. If anything, successful entrepreneurs are known to thrive under competition. Now, the complacency that the feeling of being a sole provider of any product or services brings about ceases innovation in the startup. However, a startup has to adapt and improvise their business model once they face a good competition. Not only this, you get the chance to be the thought leader in your market by pivoting the business model of your startup. This will help you in standing out from the competition. Another great aspect that a good competition calls for a startup to form partnerships by tweaking with one or more aspects of their business models. The magic that happens in many of the partnerships doesn’t need any introduction. The people in the entrepreneur community and the journalists tend to back and talk about nothing but truly promising products around. So, it might be a good time to consider the option of pivoting the business model of your startup if you are not able to grab enough attention from the journalists from media houses. Twitter, one of the most popular and legendary social media platforms with more than 300 monthly active users supporting almost 40 different languages across the globe. Originally a podcast directory company called Odeo which served as an aggregator of thousands of podcast channels. But the founding members had to pivot becoming a microblogging platform instead when iTunes almost turned Odea obsolete. This is perhaps one of the examples that show how a pivot can save your startup when an almost-invincible competition comes swinging your way. Back in 2009, when people weren’t buying online as much as they do today, and when the e-commerce industry wasn’t worth more $400 Billion USD, which it is — today, a mobile shopping app called Tote was launched aimed at giving a seamless, frictionless and streamlined shopping experience to the people with a lot of features. However, their inability to add important features like friction-less payment features resonated with their “way-before-it’s-time” existence to led Tote to stumble big time. Fast forward to now, the product of pivot — Pinterest has more than 170 million monthly active users with almost 75 million users being from the United States itself and it is currently valued at $11 billion USD. To sum it up, Pinterest has become a great example of potential success one can enjoy once they pivot a startup. Two Electrical Engineering graduates from Stanford University, William Redington Hewlett, and David Packard started the company as an electrical components testing equipment provider in 1935. Come the 1960s, the company ushered into the age of Personal Computers. Following this, they diverged their scientific equipment production into a separate company ultimately becoming one of the leading companies in computer products. Do not pivot a startup just for the heck of pivoting the startup. It needs to be an informed and calculated decision.